Multi Coloured dinosaurs pattern on a navy background, 100% cotton from the Robert Kaufman cotton collection. 112cm / 44" Width, this fabric weighs approximately 150gsm. Multiples of a size will be cut as one piece unless requested otherwise. 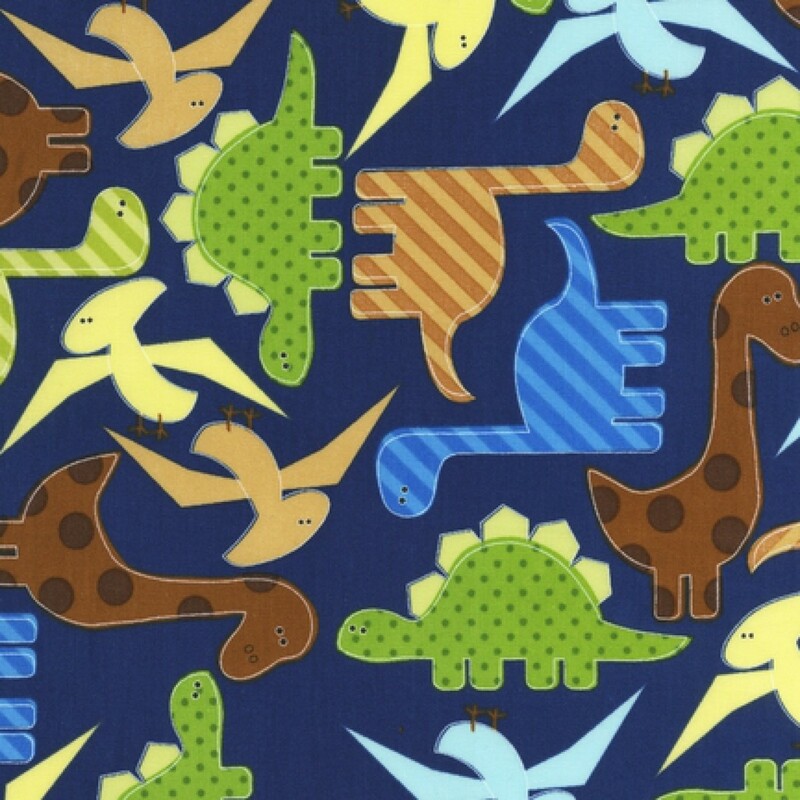 I love this dinosaur fabric, really good quality and the service was excellent. Thank you Roof top fabrics.